The Professional Managers Committee met on 12th October, the start of the new academic year, making this the ideal time to reflect on the previous year’s progress and to turn an eye towards 2019. This was especially pertinent as we had three new members of the committee to welcome aboard. With the wonderful addition of Matthew Moir (UWS Business School), Nicky Randall (University of Leicester School of Business), and Steve Pymount (University of Hull Business School), the committee is in an excellent place to come up with new ideas and develop our existing projects, and, as the committee’s new chair, I look forward to seeing what we can produce. The main item on this meeting’s agenda was, of course, the upcoming Professional Managers’ Annual Conference. 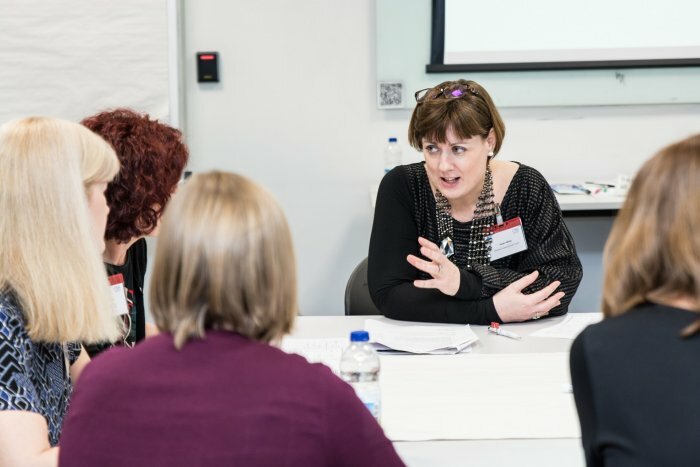 Once again we’ve seen an excellent set of submissions from business school professional managers, informed and enlivened by our professional development matrix, making for a very strong line-up of presentations and workshops. This hasn’t stopped us from looking ahead, however, and we are already making plans for the 2019 conference. Much as this year’s programme was inspired by the feedback we received in 2017, we are keen to hear from as broad an audience of professional managers as possible to ensure our work addresses the issues that matter to you. With less than a month to go until the 2018 conference, we are keen to get as many staff and schools represented as possible. You can view the programme and register here. Several of the projects on which we have been working are coming to fruition. The professional development matrix naturally remains a focus, and as we receive feedback more content is being added to truly reflect and engage with every aspect of business school professional management. A section on how professional managers can help enable their school’s learning and teaching objectives is not far away. Our proposed professional managers’ mentoring scheme has also come along very nicely, and we will shortly begin trialling our approach; keep an eye out for the details! We have also had the chance to reassess our priorities as a team going into the new year. We are happy with the progress we’ve made across a number of areas, and are keen to enhance this with an even closer focus on producing work with reference to the framework offered by the professional development matrix, and a commitment to examining and enhancing the relationship between business school professional managers and their deans. All questions, comments, suggestions on any aspect of the committee’s work gratefully received.